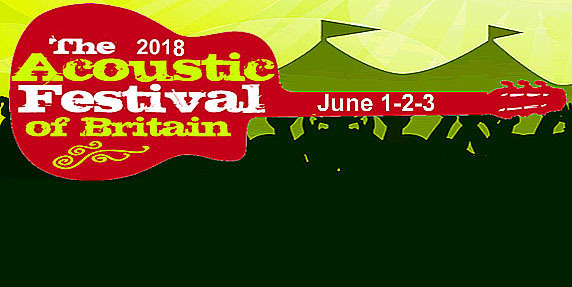 The Acoustic Festival of Britain is one of the most relaxed festivals in the country and is often considered to be The Music Lovers’ Festival. 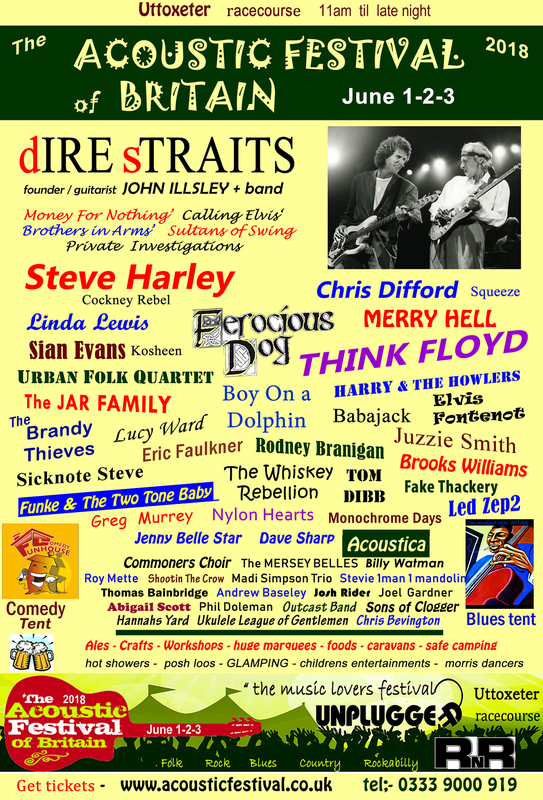 Every year it boasts some of the biggest names on the festival circuit, and this year is no exception with superstar performers like Steve Harley, John Illsley (Dire Straits) and Linda Lewis rubbing shoulders with festival favourites Ferocious Dog, Merry Hell and Funke and the Two-Tone Baby. 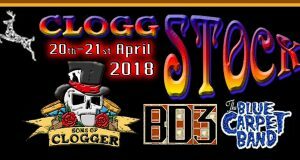 There’s Folk Award winners and nominees Lucy Ward and Dan Walsh (Urban Folk Quartet) and a welcome return of Rodney Branigan and the Outcast Band. And these are just a few of the musicians and entertainers to hit the stages this year. The music is always varied from folk, blues, jazz, rock and folk-punk. If you are looking for something a bit different, there is the popular comedy tent and also the gentle musical whimsey of Fake Thackery. The Acoustic Festival has always been rated as one of the cleanest and most comfortable festivals around, with ‘posh loos’, showers and a great team of litter pickers to help make your experience one to remember for all the right reasons. There’s camping, glamping and caravaning and cars can be parked next to your tent or caravan. The Real Ale Tent is always fully stocked with a great selection of ales and there’s plenty to eat. 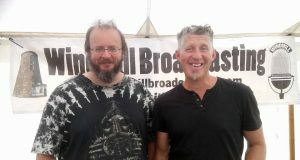 An Arts & Culture Show Special Preview of the Acoustic Festival of Britain 2018 can be found on Mixcloud. Windmill Broadcasting will be there to bring you some interviews and photos from behind the scenes.